Prepare to be impressed from the inside out! Gorgeous curb appeal and lovely landscaping. Open floor plan with a formal dining room, two-story great room with fireplace. Chef's kitchen with solid surface counter tops, stainless appliances and lots of cabinets and food prep space. Master bedroom is on the main level with one of the best master closets you will find! Upstairs houses two additional bedrooms, full bath, large bonus room that could be used as 4th bedroom. There is also a flex space that could be used for a home office. Lots of walk-in attic space, large deck and double garage. 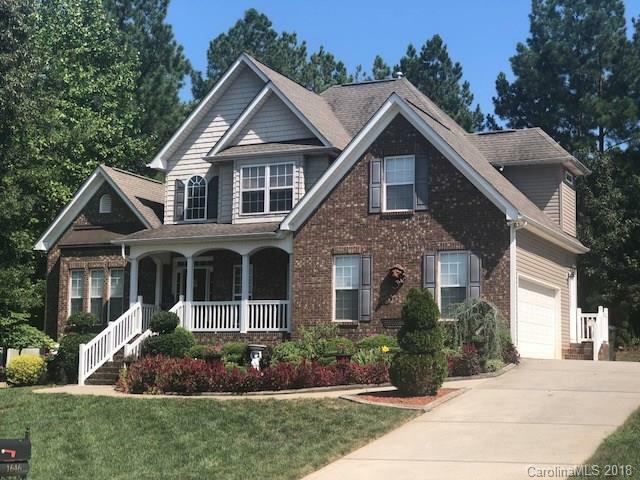 Neighborhood has a pool, sidewalks and easy access to I-77, shopping and restaurants. This is a must see home! Sold by Allen Tate Lake Wylie.